Pay per click vs SEO…what’s the difference and which one should I use? The goals of SEO and PPC are the same – to drive drive people to your website. Well, you don’t pay for people who come to your website through SEO, whilst you do pay for people who come after clicking an ad. 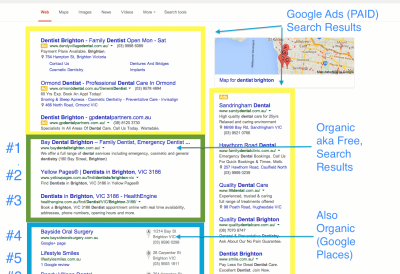 If you look at Google search results, all companies listed at the very top or to the right with the word “Ad” in a yellow box, are paying for their visitors (Google Ads are an example of PPC). All companies below are not, as they’re using SEO. Why would I pay for PPC when SEO gets me visitors for free? 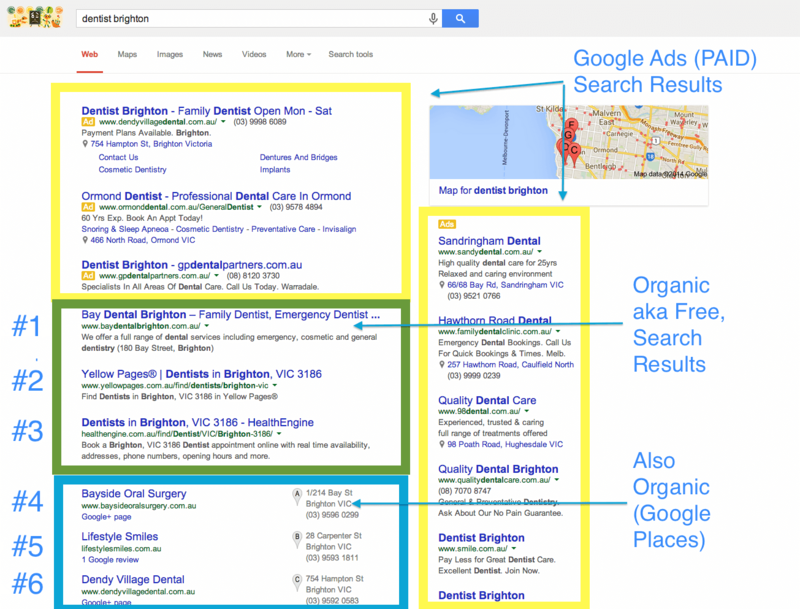 Are you using PPC, eg Google Adwords, to get visitors? Write compelling ad text…something that captures attention! Are your ads and landing pages optimised like this? If you are excited to test out whether Google Adwords – the most popular PPC program out there – can help you get more customers online, email info@echimp.com.au and we can send you a $100 voucher (while vouchers last). Note: Google does require you to first spend $25 in order to use the voucher.